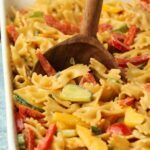 Vegan Pasta Bake – Rich and Creamy! 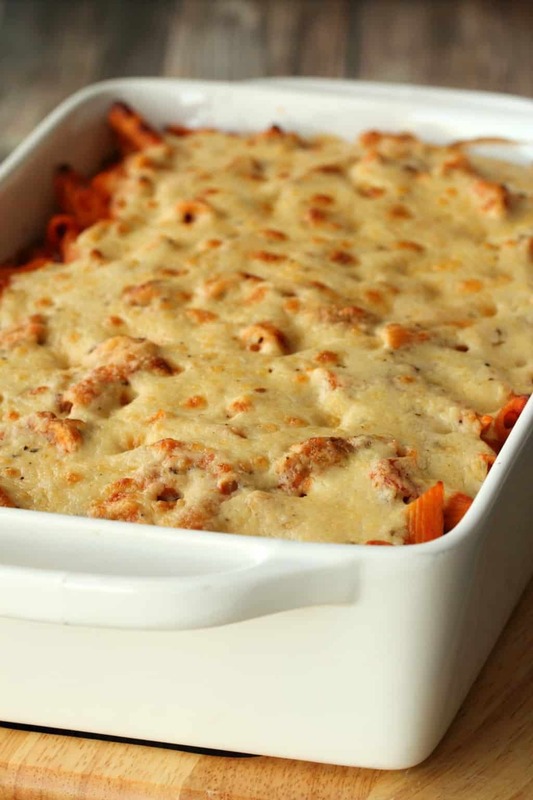 Well I never, doesn’t it look exactly like there’s a thick layer of cheese on top of that vegan pasta bake you see before you? Well it’s not! It’s white sauce! Isn’t that some magic right there? 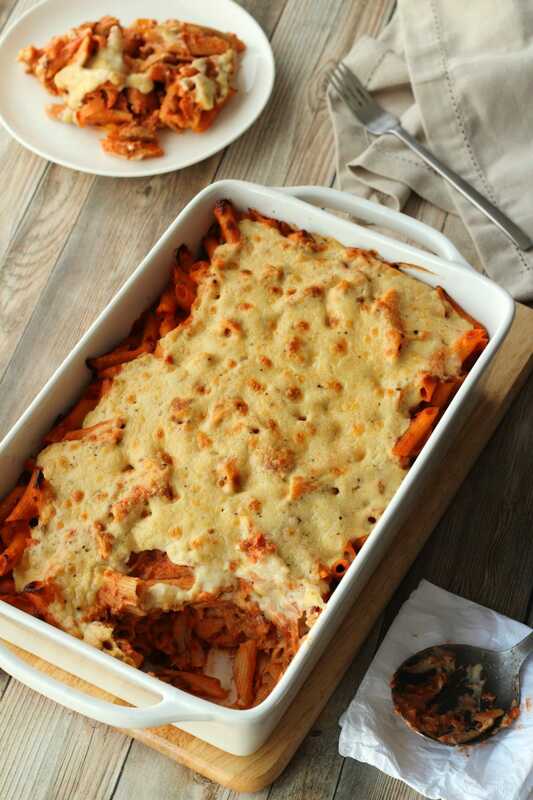 I wanted to make this pasta bake with a bolognese sauce (with some lentils added in) but at the last minute decided to mix the bolognese with some cashew cream for a creamy sauce. 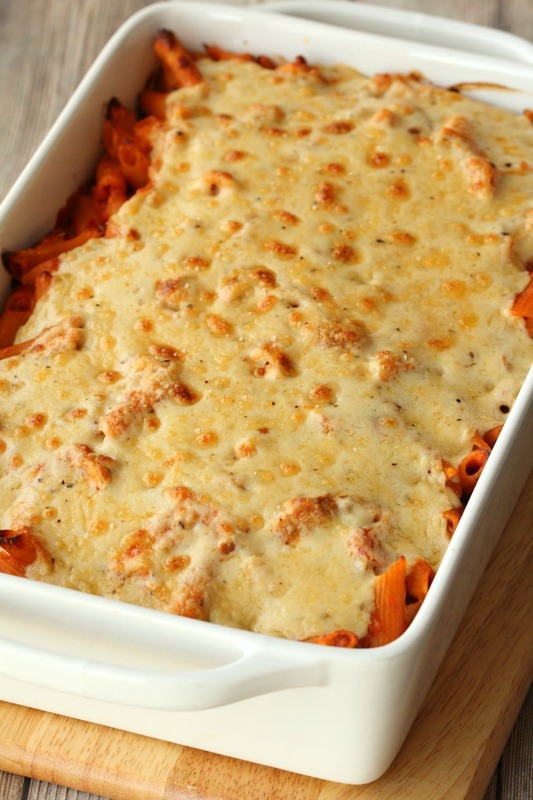 And then the creamy pasta is topped with a white sauce that bakes to look just like cheese! It’s too good. It’s definitely rich! But it makes a perfect meal to feed a crowd. 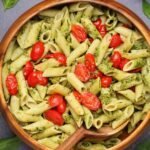 There are a few steps involved but it’s actually quite simple and the prep for this vegan pasta bake is only around 70 minutes. Then it bakes for 20 minutes, so the entire meal is ready in 90 minutes. The bolognese sauce is a simple mix of onion, garlic, olive oil, mushrooms, soy sauce, tomato paste, lentils, chopped tomato (canned), and a little salt, pepper and brown sugar for flavor balance. This sauce is totally delicious as is. And if you want to go with it exactly as is, you definitely can. 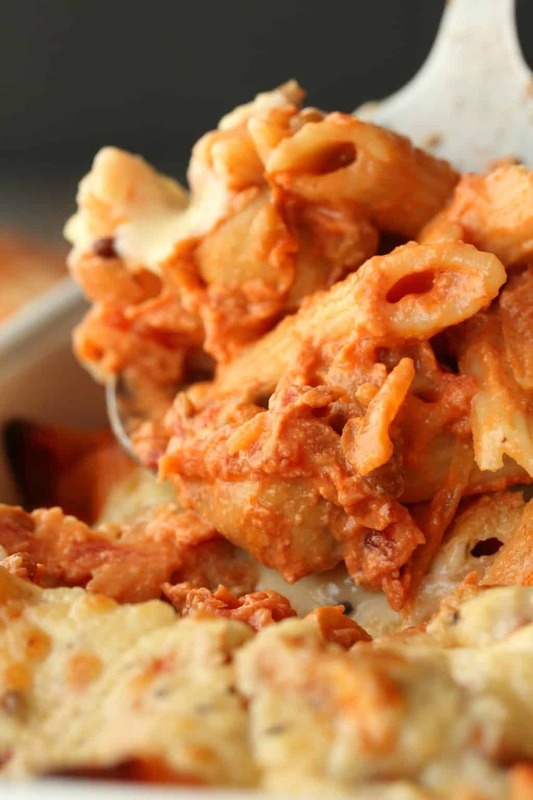 But I was inspired to make a simple cashew cream and mix it in for a creamy bolognese sauce. 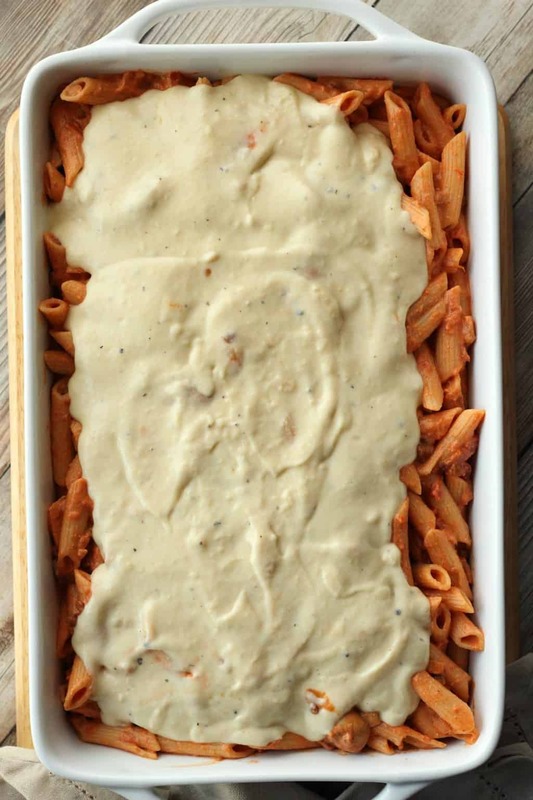 The white sauce that looks exactly like a thick layer of cheese on top of this vegan pasta bake is just like your classic bechamel sauce, but made with vegan butter, all purpose flour, coconut milk, vegetable stock and then some black pepper, dijon mustard and sea salt added for flavoring and nutritional yeast added for cheesiness! 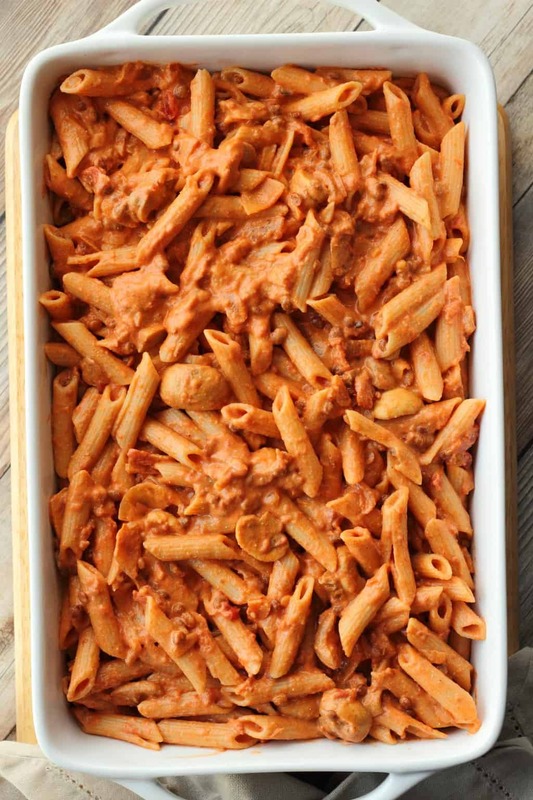 The result is a very rich, very satisfying vegan pasta bake that will definitely impress some guests if you had to serve it at a dinner party, maybe with a large green salad and some fancy bread and lots of good red wine! It serves at least 8. Another thing that makes this really a good choice for a dinner party is that you can make it in advance. So you can get it all ready in the dish, cover it in foil and put it in the fridge and then 20 minutes before you need to serve it, put it in the oven to bake! So you could literally make it the night before! Perfect for a stress-free dinner party! All you’d have to do on the night is make the salad, pop this in the oven and open the wine! That sounds like the way to socialize! 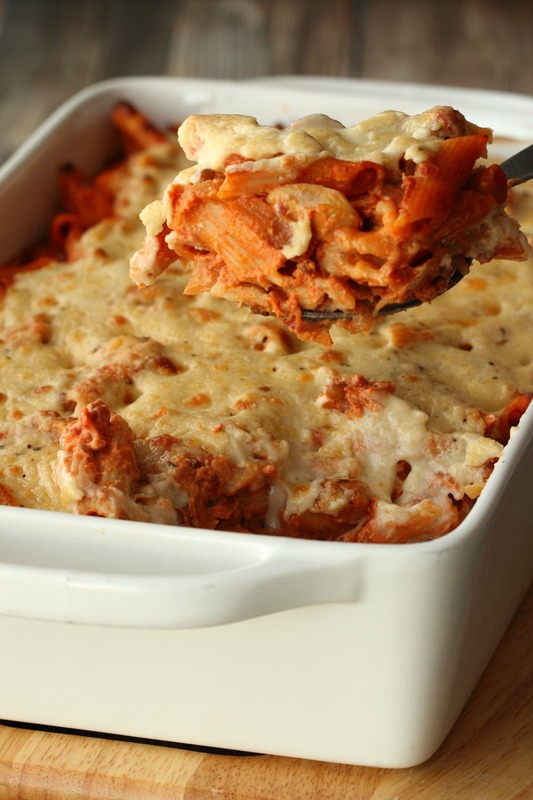 Leftovers keep very well and can be reheated the next day for lunches or dinner. 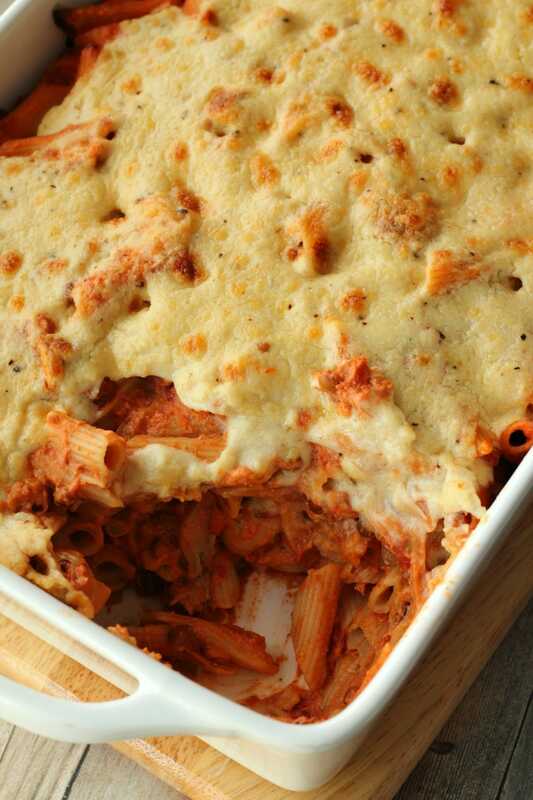 So let us know what you think of this vegan pasta bake in the comments! 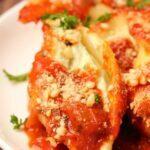 Please rate the recipe as well, it’s super helpful! Thanks so much! Sign up to our email list for a fabulous (and free!) 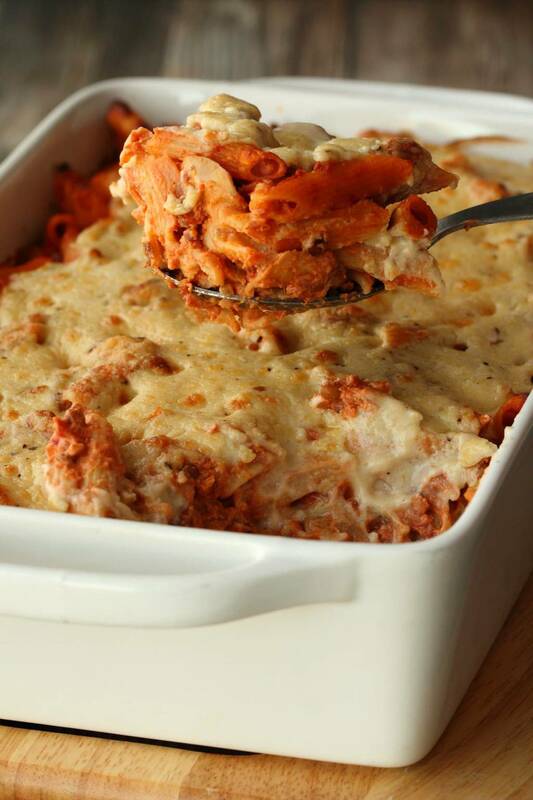 recipe ebook and to stay updated with all our latest recipes as they’re posted to the blog! 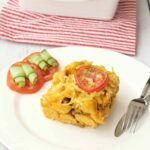 Rich and creamy vegan pasta bake that feeds a crowd AND you can make it in advance so it’s perfect for a dinner party! 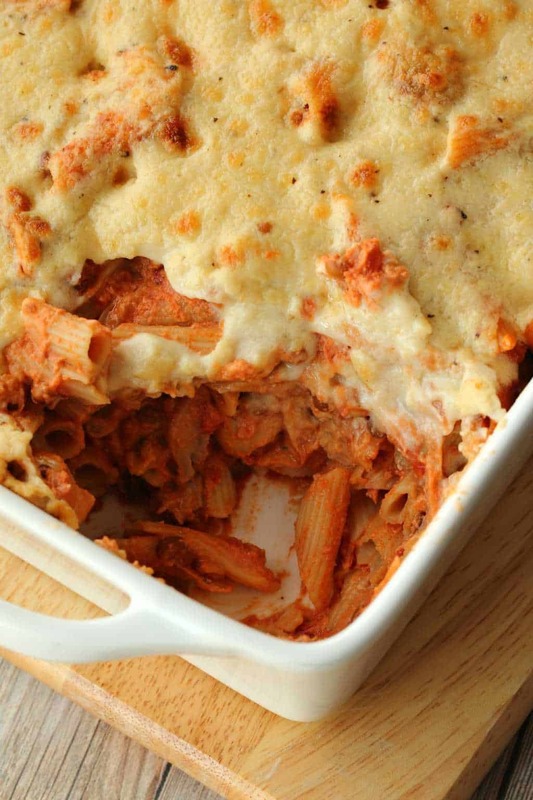 It’s comforting, satisfying, and leftovers are simply divine too! Put the pasta on to cook while you prepare the vegetables for the bolognese sauce. 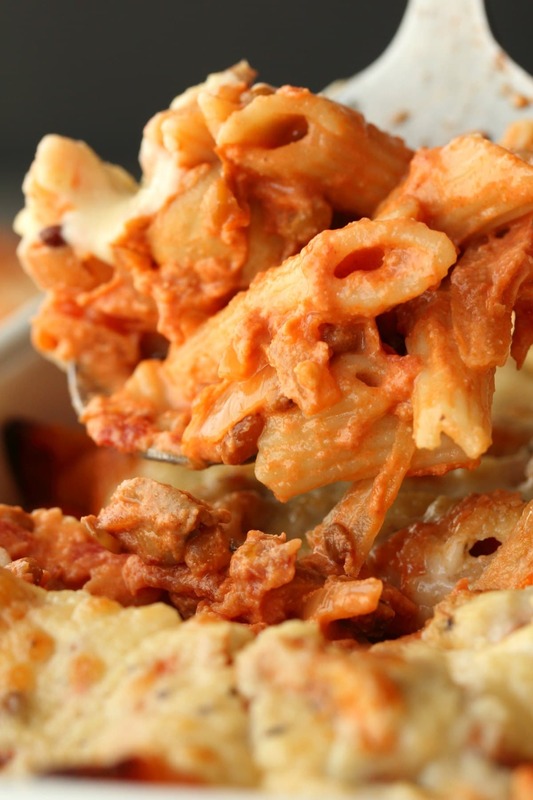 When the pasta is cooked, drain it, cover it (to prevent it from drying out) and set aside. Prepare your bolognese sauce. Add the onion and garlic to a pot with the olive oil and fry until softened. Then add in the sliced mushrooms and soy sauce. Cover the pot for a minute and allow the mushrooms to release their water. Then remove the lid from the pot and let the water from the mushrooms cook off a little. Add in the tomato paste and lentils. Then add in the canned tomato. Bring to a simmer. Add in the sugar to balance out the flavor and add salt and pepper to taste. Prepare your cashew cream. Add the cashews, lemon juice, water and salt to the blender jug and blend until smooth. Add the cashew cream to your bolognese sauce and mix it in. 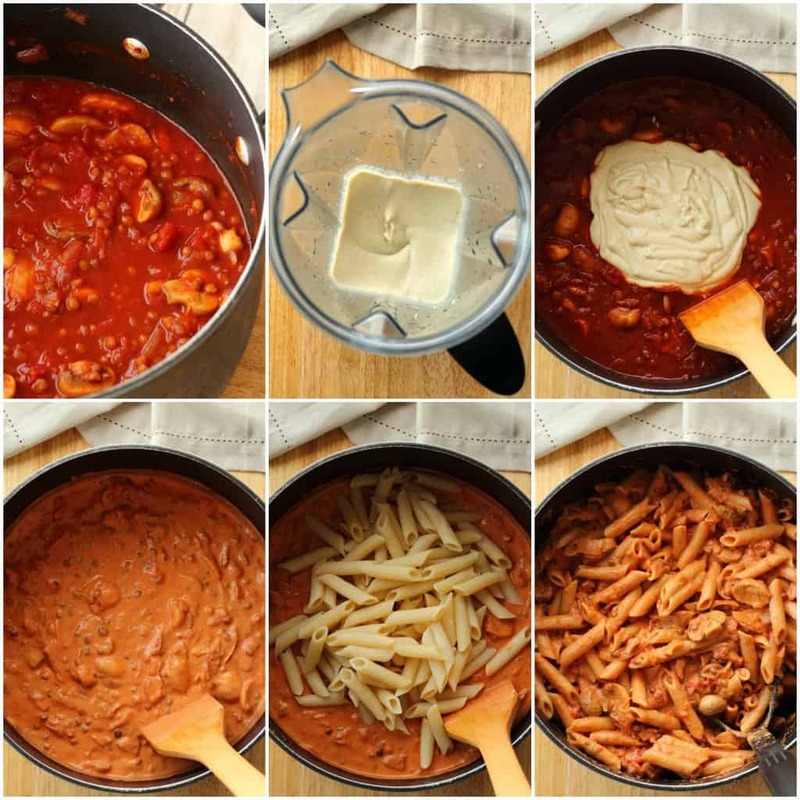 Then add your pasta and mix it all in together. Now prepare your white sauce. Add the vegan butter to a saucepan and let it melt and start to sizzle just a little. Add in the flour and stir it quickly, then add in the coconut milk and vegetable stock and whisk it very quickly to get rid of the lumps. Then switch to a wooden spoon and keep stirring while you bring it to the boil. Once it boils keep stirring for about another 4 minutes until thickened. Then remove from heat and add in the black pepper, dijon mustard, nutritional yeast and sea salt. Preheat the oven to 430°F (220°C). 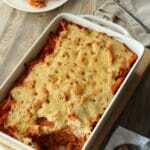 Place the pasta and bolognese mix into a rectangular oven-safe dish and smooth down. 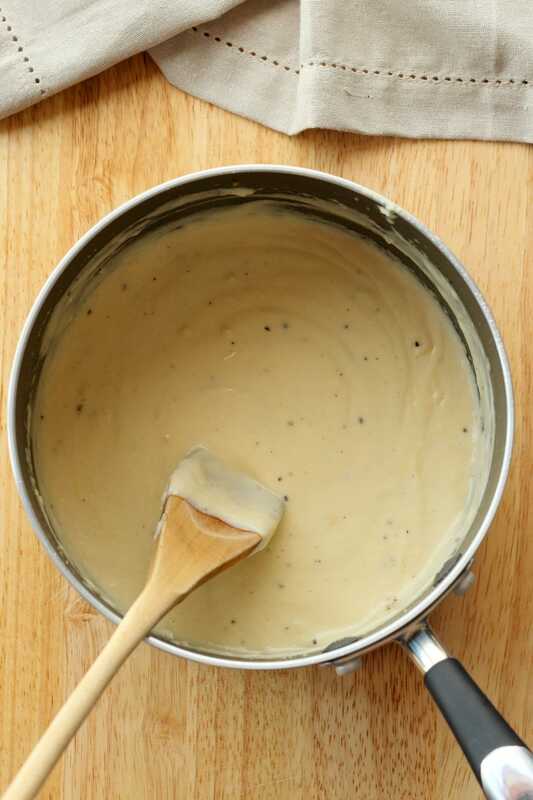 Pour the white sauce over the top and smooth down. Bake uncovered for 20 minutes until golden on top. 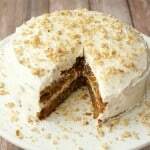 *If you want to make this in advance then complete all the steps except for baking it in the oven. 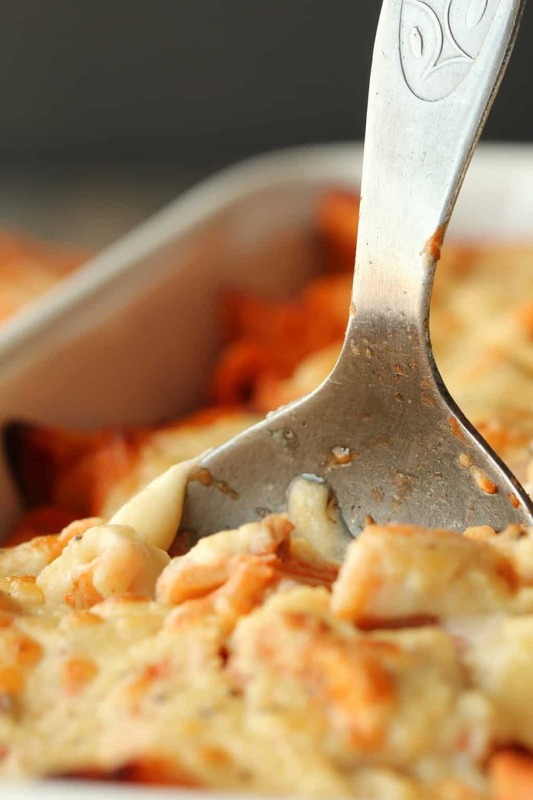 Keep the dish covered in the fridge and when you’re ready, pop it in the oven to bake. 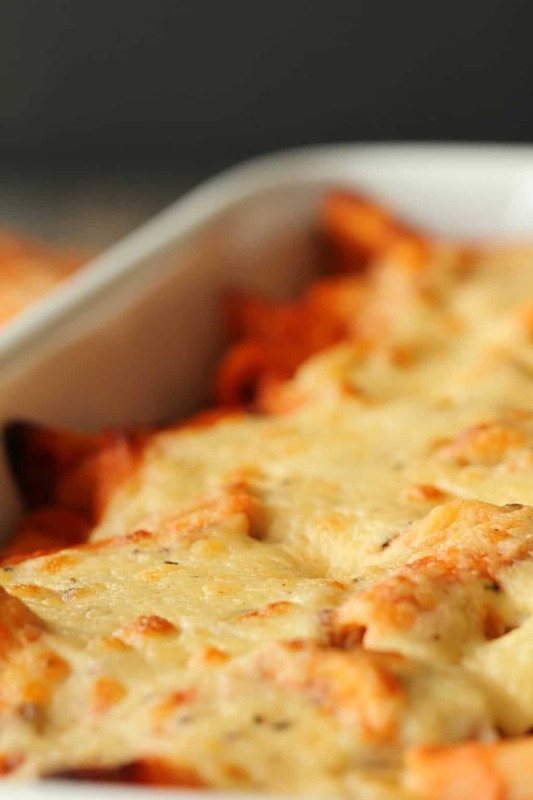 *Leftovers keep very well in the fridge and can be reheated the next day. Can this be prepped up to the baking step and frozen? I don’t see why not – in that case you would freeze it and then put it in the fridge to thaw out before baking (can take up to 48 hours). 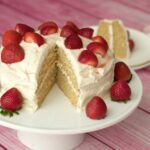 Or, if you want to bake it directly from frozen then you would need to increase the baking time by roughly an hour or even more to make sure it’s heated all the way through. Hi! Is there any substitute for the mushrooms?? 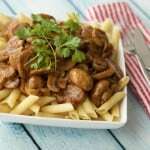 Hubby and I do not like mushrooms but I’m dying to try this amazing sounding dish! Yum! Thanks! I am also one that very much does not like mushrooms! However, I decided to use them anyways. I chopped them with the small blade on my Vidalia Chop Wizard that I got from Amazon. You don’t even notice that they are in the sauce. The sauce is one of the best things that I have ever tasted! Wondering if you need to soak the cashews? And what type of lentils you used. Hi there, regular canned lentils, and the cashews don’t need to be soaked unless your blender is really weak, in that case, a 15 minute soak in boiling water should be all that’s needed. I made this for dinner last night and it was delicious! The only slight issue I had was that the black pepper (I used ground) made the white sauce look grey – still hugely tasty but not so appealing. Would white pepper work as an alternative, and would you use the same amount? Hi Heike, I think you could use any kind of pepper and it would be fine, and in terms of amount, adding it in to taste is the best plan. I usually use a pepper grinder so I haven’t run into the issue of it turning the sauce a bit grey. Really glad you enjoyed the recipe otherwise! Hi thanks for the fabulous recipe. 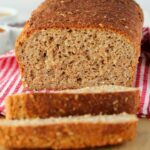 I cannot use coconut products, could I substitute with soya or almond milk? 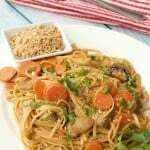 I wondered about adding a tablespoon of cashews and blending with milk to make it more creamy. Any thoughts would be very much appreciated. I was wondering if I could use dry lentils as I could not find canned lentils anywhere. I have to admit I have never seen canned lentils. I bought dry, but I’m not sure if I should cook them first and for how long? 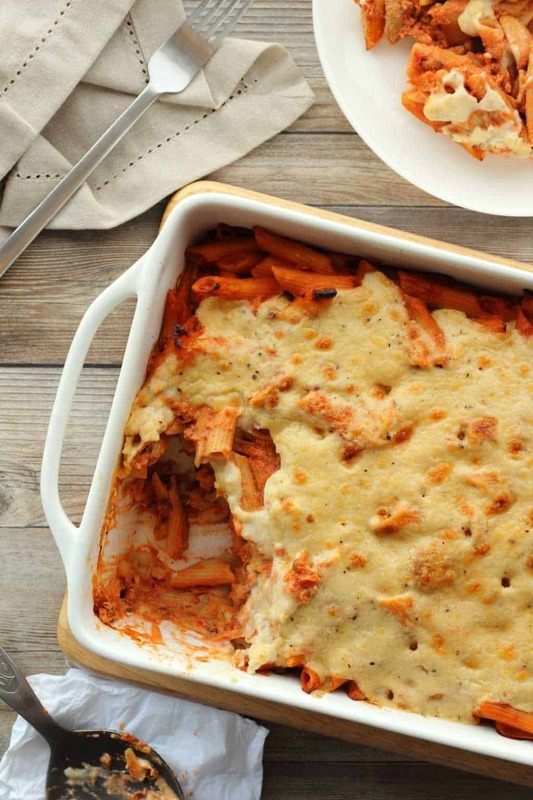 I’m making this for dinner because my kids have been longing for my baked pasta recipe that we used to eat before we went vegan. Looks like it will be a great substitute. Really can’t wait to get back to you on how it came out. Your website is beautiful and my daughter just put your vanilla cake in the oven. Yum! Hi Margie, sorry for the delayed response, canned lentils are already cooked, so you would definitely need to cook the dry lentils you bought, and then you would use around 1 and 1/4 cups of cooked lentils in this recipe. Hope the vanilla cake was delicious! I made this for dinner to night and it was sooo good! 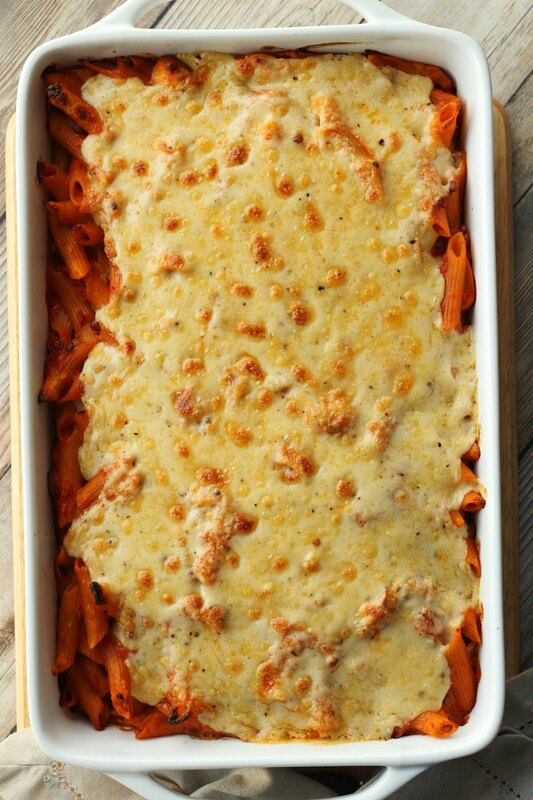 It literally reminded me of the pasta bake my Italian Father would make when I was a child, just minus the meat and cheese. Thank you for sharing this, it’s one I will make again and again. 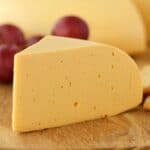 Insanely creamy and so so good – life changing!